Renouncing U.S. citizenship is a serious issue. In many cases, it means you may never get permission to visit America again. Under a little-known statute called the Reed Amendment, the Attorney General can exclude an ex-citizen from reentering the United States if he or she determines that the renunciation was done for tax reasons. You have an air of “traitor” about you. But nevertheless, even as tens of thousands of foreigners are swarming our shores illegally – literally dying to get to the United States – there has been a significant increase in the amount of Americans taking the drastic and irrevocable step of renouncing their citizenship and expatriating permanently. Why are so many Americans renouncing their citizenship? For tax reasons, of course. It isn’t for tax reasons that all expats are renouncing their citizenship, for sure, but it is telling that as the July 1 deadline looms for the full implementation of FATCA (the Foreign Account Tax Compliance Act), renunciations are sharply on the rise. Last year, 2,999 people renounced U.S. citizenship or long-term residency status. That was a record. In the first quarter of this year, already 1,001 citizens have renounced, setting a pace for 4,000 this year! Now that’s not a LOT of people – a fraction of a fraction of a percent – but considering the finality and seriousness of taking this step, it is a big deal. The IRS is literally chasing Americans away from their homeland. It’s odd to think that it wouldn’t occur to the IRS and the Congress that if they lean on wealthy (or perhaps even not-so-wealthy) ex-pats hard enough that they won’t run. Because that is exactly the effect that FATCA has had, all in the name of recapturing billions in unpaid taxes “owed” by U.S. expats. It’s outrageous, really. Few other countries treat its citizens living abroad as terribly as America does. It is like we have some sort of vendetta against them. Expats are not using our roads. They are not using our schools. They are not being protected by our military. On what possible basis would they owe taxes to the United States if they are living and earning wages abroad? There is no justification, just that the government thinks it can get away with this, so it’s the law. And it’s getting worse. As of now, banks around the world are scrambling to comply in order to maintain their relationships with U.S. customers, however, it is all coming at a very steep price to them of an estimated $7,000 per person. Meanwhile, U.S. expats themselves are simultaneously shelling out about $4,000 each year to keep the IRS at bay. Is it worth it? How many foreign banks will simply give up their relationships with American customers to avoid the hassle and expense of compliance? Then what will those Americans do for banking? Might it eventually become difficult or impossible for them to find companies with which to do banking and business? The IRS very well could make U.S. citizens abroad international business pariahs. And then the only solution for Americans will be to give up that expensive U.S. citizenship. We’re already see it happening. It is doing them no good anymore, but greatly hindering their ability to do business and have a lifestyle in their chosen countries. This is sad, isn’t it? When the oppressive taxation in the land of the free and the home of the brave gets bad enough, you can’t even just vote with your feet and leave without a fight. Oh, and it will get worse. Of course it will. With our fiscal situation as bad as it is and getting worse, a desperate government is only going to get more and more ridiculous in its tax schemes as the months and years go by. How bad will it have to get before you start considering options? Maybe someday we will even get that impermeable border fence so many citizens here are crying out for. Only question is: Which way will the barb wire be pointed? Will it keep people out? Or in? 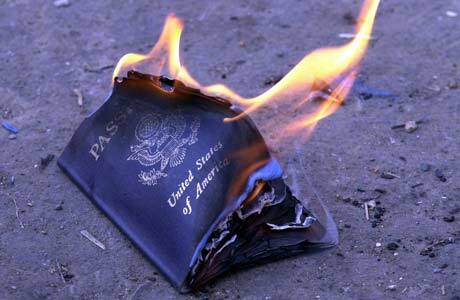 And here’s where it gets real for all of us, whether you live inside or outside of the borders of the United States: As more Americans cut the cord with their citizenship, FATCA’s onerous rules may soon cause international banks and institutions to cut the cord with the dollar. 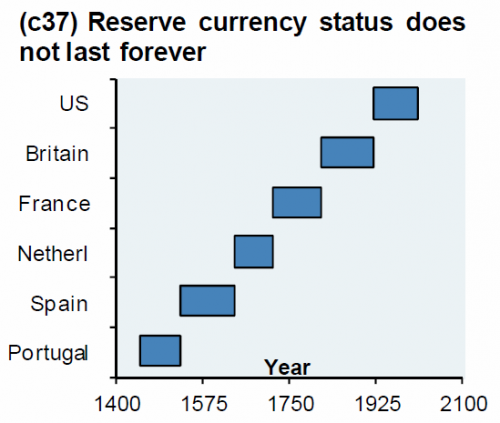 For years, our government has given foreign nations and companies more and more reasons to escape the dollar. This is just one more reason. And if more businesses outside of our borders decide it makes more sense to cease dealing with the dollar altogether than to jump through all of the hoops the IRS has set up, it can only hasten the number of days the dollar has left as the global reserve currency. The American government is a huge pain in the rump that is isolating us economically on both a macro and micro level. Soon enough, if the dollar were to hasten its decline in relevancy on the global stage, we could all feel it in our own pockets. At Birch Gold Group, we’ll continue to monitor this situation as it is of great interest to so many of our clients and readers. Stay tuned for more analysis and strategies on how precious metals can help you navigate these challenging waters.